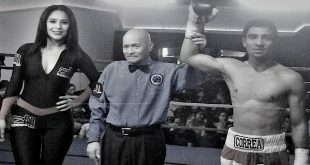 Next Friday night, Vernoca L. Michael and Blue Horizon Boxing Inc will present that annual “Spring Fling” boxing card that will be headlined by USBA Jr. Middleweight champion, Derek “Pooh” Ennis battling Frankie Santos in a ten round non-title bout. The bout was originally to be a title defense for Ennis but after actively seeking every fighter in the top-15 that is mandated by the USBA, several different factors prohibited the title defense. Ennis of Philadelphia has a record of 20-2-1 with thirteen knockouts won the USBA Jr. Middleweight championship on October 16th at The Legendary Blue Horizon with a classic vack and forth unanimous decision over Eromosele Albert. Santos has a record of 17-8-4 with eight knockouts. The native of Salinas, Puerto Rico will be looking to get back into the win column after dropping an eight round unanimous decision to prized Cuban prospect Yudel Jhonson (8-0) on September 18th. 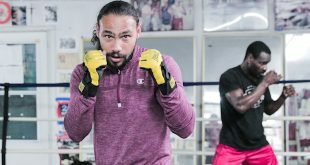 He was unbeaten in his first fourteen bouts (13-0-1) before stepping up the competition and has lost to notables Francisco Bojado (10-1), Irving Garcia (9-2); Lamont Peterson (21-0) and Matthew Hatton (32-3-2). A win by Ennis will likely set up a title defense in June. 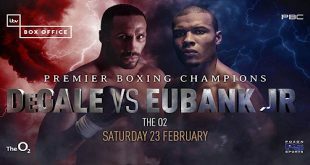 Ennis’ brother, Farah Ennis will see action in the eight round co-feature in a Super Middleweight bout. Ennis of Philadelphia is perfect in twelve bouts with half of his wins coming by talent. This will be Ennis first fight at The Legendary Blue Horizon and just his first fight in Philadelphia since his third fight in 2007. He is coming off a third round stoppage over Emanuel Gonzalez on February 27th in Allentown, PA. Ennis opponent will be named shortly. 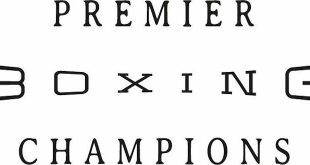 Jennings (1-0) of Philadelphia is coming off a four round unanimoud decision over Zeferino Albino on February 27th at The Arena in Philadelphia. In a four round battle of Philadelphia based Cruiserweights, Heath Harris (1-6, 1 KO) takes on Taneal Goyco (3-1, 1 KO). In a four round battle of Philadelphian’s, Clement Bethea (1-0) takes on Jason Sia (0-1) in a four round Jr. Welterweight bout. Jose Ortiz (2-2, 1 KO) of Jersey City, NJ takes on Luis Esquilin (1-2-1) of Philadelphia in a Four Round Featherweight bout. In a four round Light Heavyweight bout, Duane King (0-1) of Reidsville, NC takes on Kamel Al-Olabi (0-2) of New York City. Doors open at 6:30 PM / First Bout begins at 7:30 P.M.